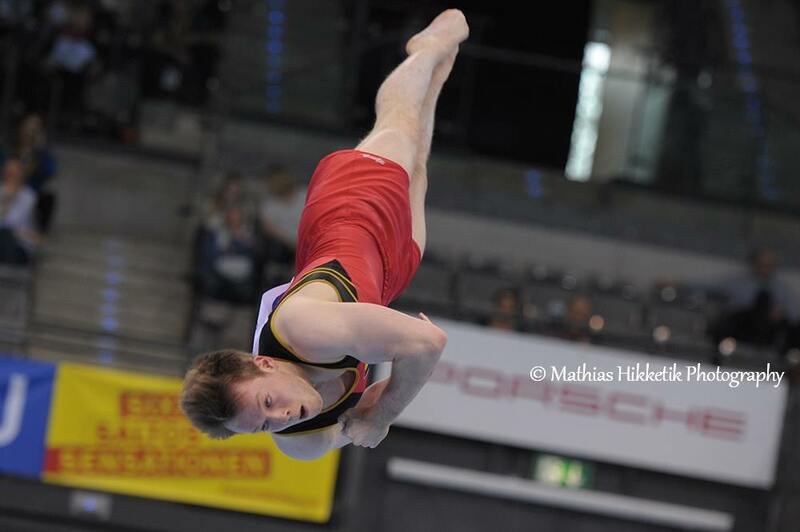 This weekend, Stuttgart hosts both the FIG Individual World Cup and the Team Challenge Cup. Our men's team was there to represent our country, finishing in a great 8th place out of 16 teams! 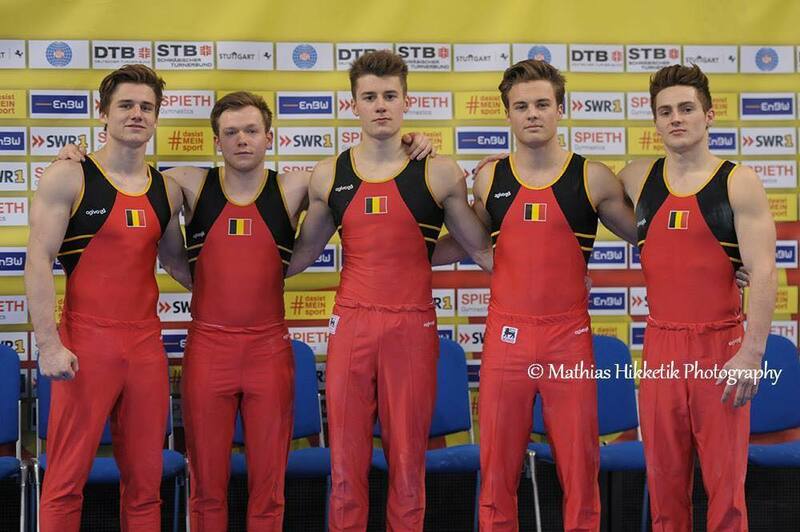 The Belgian team, composed of Luka Van den Keybus, Jonathan Vrolix, Maxime Gentges, Daan Kenis and Jimmy Verbaeys, started its competition on rings, where Jimmy Verbaeys earned the top score with 13.750, followed by Maxime Gentges (13.650) and Daan Kenis (13.350). On vault, Kenis and Jonathan Vrolix got big scores for their vault, a 14.500, the highest scores of the competition on this apparatus. 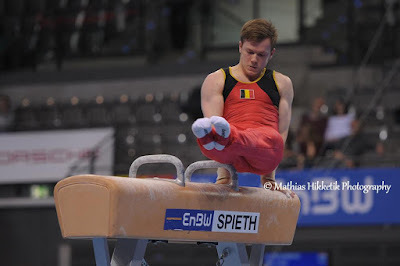 On parallel bars, Jimmy's best apparatus, the young Belgian earned a 14.350. Daan follows with a 13.800. Maxime got 13.000, while Luka scored 12.950. This competition was also the occasion to compete new elements. 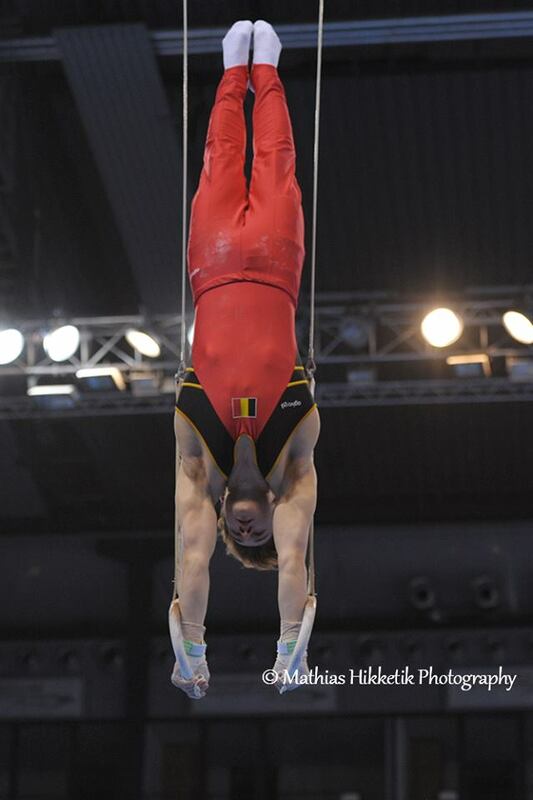 Maxime Gentges tried a new dismount off the horizontal bar : a triple back somersault! Unfortunately, he had to put his hands down, but it is promising for the rest of the season (12.600). 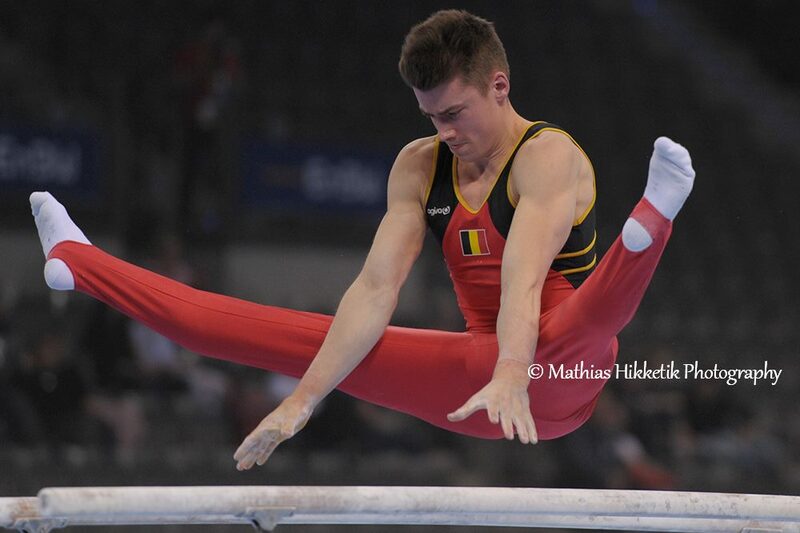 Daan and Luka both got good scores (13.400 and 13.500), while Jimmy had to count a fall on his Tkatchev release (12.500). In great shape, Daan Kenis got the highest score of the team on floor, with a great 13.950, followed by Jonathan (13.250). Jimmy and Maxime both had mistakes. On pommel horse, the last event of the day for the team, things didn't go as planned, as they all had issues. Nevertheless, the boys still earned a pretty good total of 239.300 to place 8th (out of 16). The team qualification competition was won by Japan, ahead of Germany and Switzerland. The top 6 advances to the final. 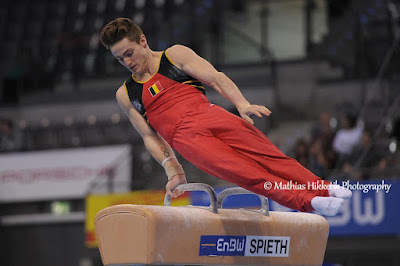 There was no individual ranking, but Daan Kenis placed 7th on floor, as well as 1st on vault, tied with Jonathan Vrolix. Jimmy is 9th on parallel bars, and Luka placed 11th on horizontal bar. Maxime's best result was a 18th place on rings. This competition wasn't perfect, as mistakes have been made here and there. But let's not forget it was the first competition of the season for most of them. Stuttgart was an ideal competition for the boys to try and compete new elements, before they travel to Romania for the European Championships, and Montreal, for Worlds, two competitions where Belgium hopes to shine once again.